It was gathered that already no fewer than seven state Governors, serving ministers, several law makers in the both Chambers of the National Assembly as well as others holding key positions in the government and the party have concluded plans to dump the Party to follow the former Vice President who is believed to bew heading to his former Party, Peoples Democratic Party, PDP. A very close source to the former Vice President to the Saturday Tribune in Abuja yesterday that bearing last minutes change, Atiku has concluded plans to storm the National Secretariat of the PDP, popularly known as WADATA PLAZA, Wuze Zone 5, Abuja, in the first week of December ‎this year in a grand style along with his suppoters after he must have declared for the Party, in Yola, Adamawa State. 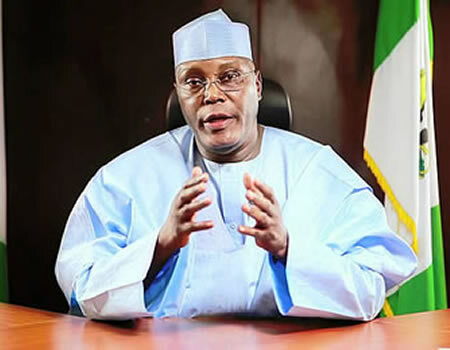 Saturday Tribune gathered that the exit of Atiku on Friday morning after months, weeks, days and hours of speculations of ‎his possibility of leaving the Party sent fears into the various camps and groups in the Party as well as the Presidency and the Party and its likely adverse effects on the party ahead of the 2019 General elections. ” We are not comfortable with the sudden exit of Atiku Abubakar, honestly we were are not unaware of his grievances and it is the these are being looked into at the appropiate quarters that he decides to leave? ” Definitely his exit will shake our Party because he has his followers he brought while coming into the Party and within the time he stayed he actually made more followers ” we only pray that the party will be able to manage his exit so that this would not have bandwagon effect on the Party now that the Party is yet to hold its Nationa Convention and 2019 General elections are fasting ‎approaching “, a National officer told the Saturday Tribune while reacting to the exit.